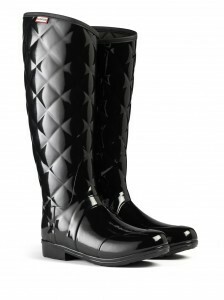 The Hunter Regent collection is a range of stylish Hunter boots for women, based on an equestrian style. The Regent Savoy boot has added glamour with its quilt effect leg and attractive dipped cut at the top. These boots stay practical with all the comfort and waterproofing you’d expect from any Hunter boot, and perfect for those who want something a little different from the colourful Gloss Hunter boots. The Regent boot has the same features as the Regent Savoy, without the quilting. Great for those who want an understated look, whilst still retaining the style, and feminine fit of the Regent Collection. This boot perfectly combines welly with fashionable boot. Both of these boots have been part of the Hunter family for a long time, and will remain so, although it should be noted that from Autumn/Winter 2013 the name of the collection is changing, and these boots will be known as the Sandhurst Regent and the Sandhurst respectively. 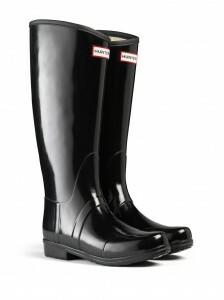 hunter, hunter boots, Hunter Regent, Hunter Regent Savoy, Hunter wellington boots. Bookmark.